December 19th, 2015. 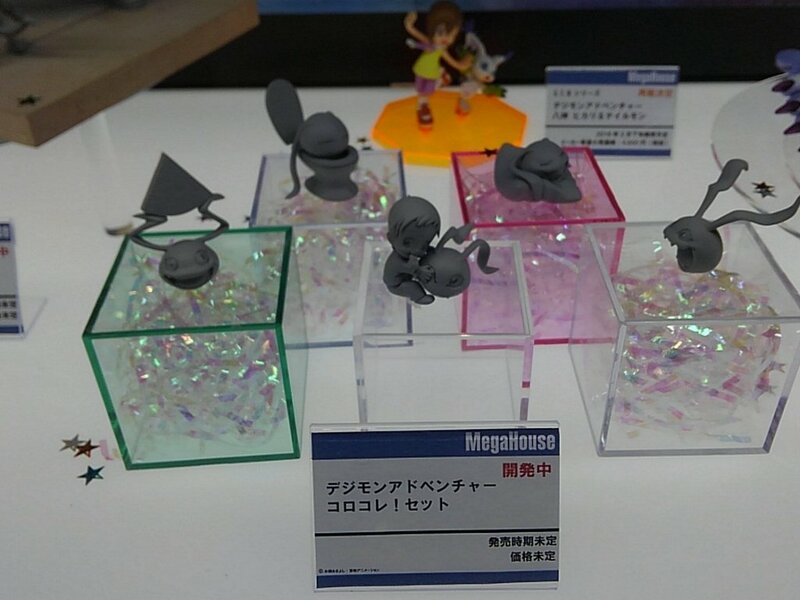 Japanese Digimon news publication Digimon Headline leaked this photograph from the first day of Jump Festa 2016, of an upcoming official Koro Collection! figure set (ジモンアドベンチャー コロコレ！セット lit. Dejimon Adobenchaa Koro Kore! Setto) designed by studio MegaHouse. Based on the original Digimon Adventure 1999 pilot film directed by Hosoda Mamoru, the figure collection features a four-year-old Yagami Hikari with five different versions of the film's Koromon, in various eating, sleeping, and pooping poses. No release date or price has been set as of yet. MegaHouse also announced an upcoming Beelzebumon Blast Mode figure, as well as a G.E.M. Series Ishida Yamato & Garurumon figure at JF2016.